Playing Grown Up: I Need A Wife!!! To be more clear, I need a 1950's house wife in am apron with curlers in her hair. I have always said that I want to start a company called "rent a wife", where a person will come in and do all your household duties. I've put a lot of thought into this idea, knowing I would never be the "wife" rented but the renter. 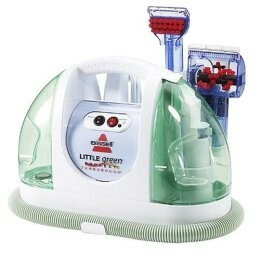 I was really thinking about this while I was cleaning my carpeted stair with my Bissell Little Green cleaner. My back and hand were hurting, I was not having any fun at all. Cute for making me work so hard!! I'm not the type of person that gets satisfaction out of a clean house. I really only clean so that I am not ashamed to have others over, or out of guilt that I make Mister N live like that. I need a wife to do the following things. 1. Figure out whats for dinner. 2. steam clean the damn stairs. 3. Put away my mountain of laundry. 4. Pack my lunch for work. 7. Rub my aching back (stupid stairs). 8. Get the goop out of dishwasher trap-Yuck. 10. Keep all plants alive. I think maybe I can take care of everything else, unless I'm tired, its nice outside or someone calls me with an offer to do anything more fun!! What would your "Wife" do? I would rather rent a husband to do that for me. Cause at the end of it all, I would give him some sweet sweet lovin'.